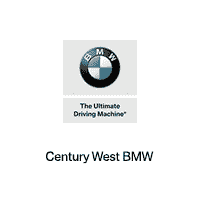 Hurry in to Century West BMW for exceptional offers. Welcome to a trusted Studio City area BMW Dealer! Our team starts by getting to know you. They listen to your wants and needs and work with you to understand your lifestyle. From there, they can take you through our BMW inventory and help you narrow your choices. They can even make suggestions on quality pre-owned BMW models that can help you save money and still get the BMW that you had your eye on. Our selection of BMW models ranges from popular sedan options, like the BMW 3-Series or the BMW 5-Series, to popular activity options, like the BMW X1 and the BMW X4. Although, if you’re truly trying to wow your Beverly Hills friends then browse our selection of M Performance models. These are the top of the line of German engineering and are designed to push you back in your seat as soon as you hit the highway. Were you driving through Glendale when your check engine light came on? Maybe you had a meal at a West Hollywood restaurant only to come out and see a dent in the side of your new BMW? Whatever the issue, you can repair your BMW at our service center. Our team of certified technicians understand the inner workings of these cars and can have you in and out of our repair shop in no time. Whether you need an oil change or something more complicated, they can get the job done right the first time. Be sure to schedule your service soon and if you don’t like calling in then utilize our online service scheduler here. Part of the reason our team is so successful is thanks to OEM parts. These are car parts that are designed for your specific BMW. They tend to last longer than generic auto parts and can save you money in the long run. If you enjoy repairing your BMW yourself then you’ll be happy to know that you can buy car parts at our parts center. If we don’t have the particular part that you’re looking for then don’t worry because we can order it for you and have it to you shortly so you can make the proper repairs to your vehicle. Whether it’s a new BMW X7 or you’ve settled on a pre-owned BMW 2-Series, you’ve found the car of your dreams. The next step is to visit our finance center. Our team of automotive financing professionals will be able to tailor a custom payment plan that adheres to your budget. They can advise on whether it is best to buy, lease or finance your next BMW. They can even point you in the direction of a few specials. As a BMW dealer, we want you to forever be behind the wheel of a quality BMW. That is why we run numerous deals, specials and offers that are designed to save you money. They can truly help cut down the costs of buying a BMW and could mean the difference between being able to buy that upgraded trim level or not. It doesn’t matter if you’re looking to buy a car right away or are just browsing, stop by our BMW dealership today. It would be our pleasure to meet you and get to know you. We care about each of our customers as if they were family and don’t mind if you drop by, browse our inventory and say hi!